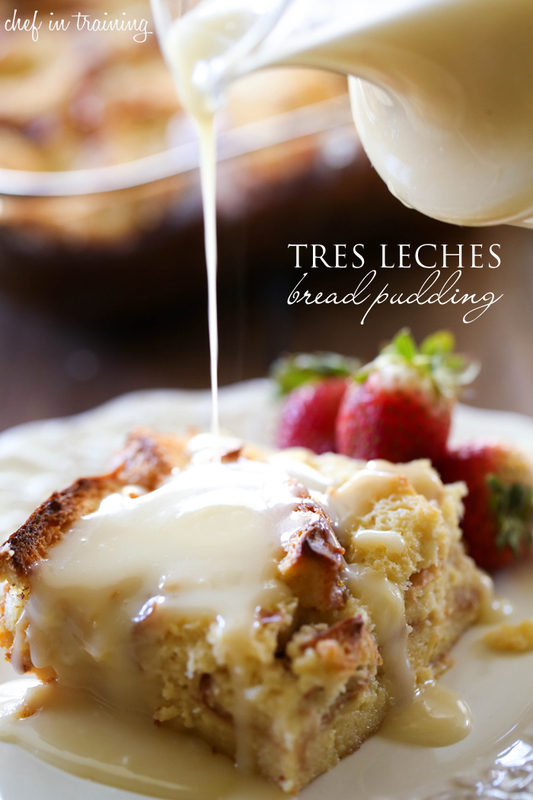 The flavor of this Tres Leches Bread Pudding is amazing! Place bread slices in pan and set aside. In a medium bowl, whisk together milk, sweetened condensed milk, evaporated milk, sugar, vanilla, rum extract, salt and egg yolks until smooth. Pour over bread and bake 375 degrees F for 40-50 minutes, until golden brown and set. Serve warm and top with Vanilla Cream Sauce. In saucepan, melt butter on medium low heat. Add flour and cook 10 minutes, stir continually. Add salt, cream, and sugar and stir until mixture becomes thick.. Remove from hear and stir in vanilla. Pour warm over Bread pudding.